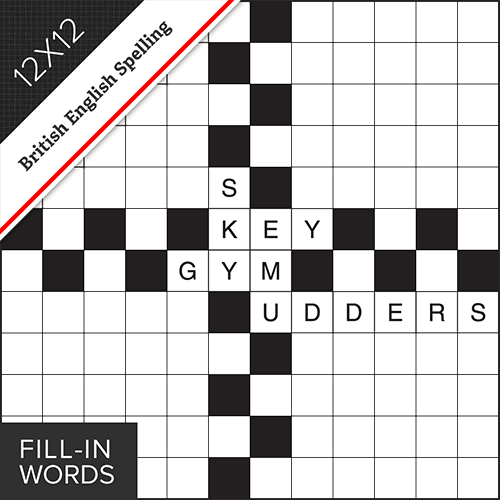 12x12 fill-in style puzzle with word list using British English spelling. Place all the words listed into the grid. Words will go from left to right or from top to bottom in the rows and columns. Each word can be used once only.